Another anniversary day! An anniversary of ‘proving’ that God’s grace is always enough. An anniversary proving that God is in control, no matter what happens to us. An anniversary proving God’s faithfulness, provision, and blessing. An anniversary celebrating that what the enemy meant for harm, God meant for good. An anniversary of God changing the way I saw people, ministry, possessions, friendships… so a GOOD day that, six years ago, seemed soooo bad…! Six years ago, I returned, from a month-long preaching trip (I think, to Sweden, Romania, and Australia) to what I then called ‘home’ (it was more a stopping off point for r&r to be honest, as I was travelling so much then) – in Virginia, USA. I landed in Philadelphia, en route to Norfolk, Virginia, to run the ‘gauntlet’ of the American Immigration service (!). As a long-time traveller, who has also talked to many other long-time travellers, I think it’d be fair to say that US Immigration is probably the most ‘unpleasant’ of all, worldwide, for arriving passengers! I think that the official who ‘dealt’ with me that night had probably arrived at work for the late shift, having had a big row with his missus! To say he was in a bad mood would be to compliment him waaaay beyond the mood he was in! (Don’t worry, I’ve forgiven him!!). I won’t bore you with the whole 5+ hours, but by about halfway through, once the decision had been made to return me to the UK, he clearly realised that they’d made a mistake in pulling me in, but he was committed to his decision, because he’d been told to stick with it by his even more unpleasant boss. My immigration lawyer could work out from the multi-page questionnaire almost the exact point where he knew the immigration officer’s attitude changed, and where he knew that they’d done me damage. What followed was a 4½-5 year nightmare of trying to get back to the States: I’d been offered a ‘job’ with a church, led by ‘friends’, as Foreign Missions Director, so was applying for permanent residency. As the whole event unravelled, it seems, from the final refusal by US Immigration, that there were massive question marks about who – and where – I was going to, concerning finance, current and historic, and it seems I was the unfortunate victim of the situation. The final ‘denial’ of my application had nothing about me in it: just two others who had raised the warning antennae of officials. So, it’s 6 years and one month since I last set foot on US soil! Those six years cost a fortune, in legal/personal costs, and I ended up, for the third time, in effectively losing my home and possessions. Many years ago, I read a Max Lucado quote that went something like this: ‘Christians are little different to the unsaved, as they don’t possess their possessions, their possessions possess them’. It had a significant impact on me then – probably the early eighties: and it’s stood me in good stead since then as I’ve waved goodbye to most of what I ‘owned’ three times (at least) since then (two burglaries, a massive home ‘down-size’, a fire, and then the USA). I’ve changed so much since May 2009. I know it. And as far as I can tell, it’s been for good! The enemy lost again…. as he always does if we’re determined! One of the lovely things about being home for a few days is that I get to catch up with friends, but also get to pray for people who are sick – some very – and meet others that friends put me in touch with, to pray for them. An anomaly of praying for healing is that sometimes – as is often the case with my knees – the day/few days after, people often seem to get worse…. it gives me a lot of opportunities to explain to people the nature of faith, and its difference from unbelief. I’ve said many times here that, in China, in 1987, I met pastors to whom the whole concept of praying for people and them not being healed, was utterly impossible. With them, there is no vestige of unbelief – ‘if it’s in the Bible, it WILL happen – either because of you, or in spite of you’ – an attitude that changed my life irreversibly, for ever. So, when someone is prayed for, SOMETHING happens. It’s not possible for God not to answer prayer. Faith is believing for what you can’t see, for what you have not yet received. So, my whole ‘ethos’ is to thank God for what’s happened, seen or not, and whether there seems to even be a deterioration or not…. Of course, the enemy doesn’t want faith-filled people, does he? So, he sticks his oar in the moment faith begins to be generated, whispering and lying in your ear, that ‘nothing’s happened, it didn’t work’ – at which point, it’s OUR CHOICE as to whether we agree with him, or poke him in the eye and stand on his head… Faith isn’t an airy-fairy nothing: neither is unbelief. Faith believes, unbelief takes away. If faith is a ‘plus’, unbelief is very definitely a ‘minus’, and they cancel each other out. It’s encouraging to me that in Matthew 13:58, and Mark 6:5 that EVEN Jesus couldn’t do miracles because of the culture of unbelief in Nazareth. If Jesus couldn’t do the ‘stuff’ because of unbelief, how the heck can we? It takes repenting of the unbelief that we, in the western world especially, have inherited in our culture from decades – no, centuries – of the Holy Spirit being ignored, denied, killed off at the end of the apostolic age… I’ve been with people who have received a miracle, only for people in the church to say unbelievable things like ‘you must have used towels wrapped around your knees to make them look swollen under your trousers’ or, almost as bad, ‘you obviously were never ill in the first place’. That’s ‘religious inbreeding’ from centuries of evangelical heresy that the Holy Spirit only exists today to ‘convict men of sin’? Why do people choose what the Holy Spirit can and can’t do? That’s unbelief, indoctrination of the worst sort… God wants us to repent of the unbelief that’s buried deep into our culture, and, individually, into our psyche, as it’s the killer to faith…. So, the week I’ve been back from France has been praying with people: some really lovely times. No outrageous miracles, but gentle transformation in some people. One lovely man who I was with is in hospital: he’s got cancer – stomach, bowel, liver – 83 years old: but in recent months, Gods healed him totally of major issues with his lungs, and despite what scans. xrays, etc., say, he’s looking better and better every time I see him. His faith is uncluttered by historic evangelly teaching, as, until last summer, he’d got no time for God, until he saw God do a miracle in his daughter. To look at him, he looks so well. And my gut feeling is that God’s in the process of healing him because of his faith, despite what ‘medics’ might say… more than that, his whole perspective on life has changed. What it’s done for him and his family is give them HOPE. I have a few – some – people ‘have a go’ at me, as they say it’s wrong to give people hope. I have absolutely no understanding of that, as a Christian: and if I had what the docs said was a terminal disease, I’ll be honest, I’d rather spend my last months/years HOPING than hope-LESS. In a couple of weeks, I’ll be heading to Melbourne, Australia, to pray for and commiserate with my Aussie friends for their upcoming Ashes Test cricket defeat by us Poms 😉 – I’ll be there to do some meetings, and, more importantly, be with some friends who are having a particularly hard time. After that, all being well, on July 2, I head out again to Colombia for 3 weeks, with a couple of terrific young people – Peter, who was with me there last year, and his sister, Kerry. Praying about who I else I might take, as 3 have recently dropped out due to personal circumstances. It’d be good to have at least two more…. Then, maybe, after a very busy few months – Romania, Colombia, Romania, France, Australia, Colombia, Romania – taking some time out in August, maybe even take up one of a few offers I’ve had over the years to go to the ‘holiday’ homes of people I know… or, maybe, just get on with the exhilaration of seeing God do ‘God stuff’!! My way of living, as some of you know, is a little different to most others! In December 1978, I knew that God was dragging me, kicking and screaming (then!) out of my career in banking, into a ministry that would mean a faith ‘walk’ that would mean no known means of income. For a banker, that involved some massive mental gymnastics, as you can imagine! So, my last known salary payment was January 18, 1979…. …So, for 36½ years, God has been faithful to the words he spoke then: ‘trust me for your home, your security, and your income’. Over the years, I’ve been blessed with a few wonderful folk who have regularly supported me, and for that – and to them – I am eternally grateful. What THAT has meant, as my regular support is, at best, about 25-30% of what I need to accomplish what God puts in front of me, that a lot of praying gets done! Airfares account for a huge amount a year: but worth it to see lives transformed, miracles become the ‘norm’, people from western world countries going with me turned upside down and inside out, churches planted, old people loved and cared for in homes and not in danger or dying on the streets, toilet blocks built in Africa, lives saved (as they were) in Romania 25 years ago and more recent…. To give an example, to fly to Cali, Colombia, which I do three times a year, costs around £250 return Belfast to London, and generally somewhere between £900-1400 for London to Cali. The bank ‘crash’ of 2008 knocked a massive ‘hole’ in support for people like me. Regular support was cancelled (I lost 50% of my regular support in a very short space of time). Of course I understand that people’s circumstances change, all sorts of things can happen that cause people to make changes in their giving. One thing that IS particularly hard, though, on THIS end of the wonderful privilege of being blessed, is when support stops without warning…. it’s pretty hard to budget anyway, when you can only budget for about a third of what you need. So regular support is such an amazing blessing in that respect, until it stops, and the first I know is when I see I was £X short in my bank account last month, two months ago…. Every now and again, it seems that God ‘digs around’ what has become a ‘comfort zone’ financially – even if it’s not the amount I need! – to stretch my faith again in that area (and in all the other areas of faith! ), in preparation for a new ‘season’ in what he wants me to do. Sometimes, I’m also aware that the enemy rides in and sticks his oar in to try and make things especially difficult: that often coincides with a particularly fruitful time of ministry, strangely enough! The last 10 months has been one of those times. Two significant regular amounts disappeared from my ‘life’ last October without any warning, accounting for about 20% of my regular income. I didn’t know until two months after it had stopped. You can imagine what that’s like if you think about next month’s salary – or pension! – and discover it’s it’s only 75-80% of last month’s…. I haven’t even begun to recover that lost income, about £2500 a year….add to that the ‘regulars’ of £10, £20. £25 a month that occasionally disappear, and it mounts up. Many people say that they would like to help, but ‘I could only manage £X (maybe 5) a month and it’s nothing’ – believe me, it IS!! I send out around 1500 newsletters a month: I have about 3000 friends on Facebook: I visit a number of churches in the UK each year (I wish it were more!)…. if 10% of those people were able to give £5, it would be revolutionary! An old school friend occasionally puts on Facebook (without my knowledge, I’d hasten to add!) an ‘appeal’ – for people to send £1 a month through Paypal… 500 doing that would be incredible! These last 10 months have been very, very difficult: I always look forward to God taking me to a new ‘level’ of faith, but while ‘wading through the process’, it is tough. I’ve put the situation to people I listen to, take advice and input from, asking if God’s telling me it’s time to quit. I don’t want to gaily carry on doing what I do just because I WANT to. But the response was a unanimous ‘KEEP GOING’ – God’s not stopping you…. If you read my stuff regularly, you know my heat is for the poor. Hence the Colombias, Mexicos, Romanias of this world filling my diary. I desperately need to widen my regular support base: recently I had some people promise to do that, then it never happened. That’s tough, too… so, after reading this, if you can help, you know I’d be eternally grateful…. Other gifts – cheques to P A Bennison – home address in a message if you need it! 5Jesus said to them: “Watch out that no one deceives you. 6Many will come in my name, claiming, ‘I am he,’ and will deceive many. 7When you hear of wars and rumors of wars, do not be alarmed. Such things must happen, but the end is still to come. 8Nation will rise against nation, and kingdom against kingdom. There will be earthquakes in various places, and famines. These are the beginning of birth pains. 9“You must be on your guard. You will be handed over to the local councils and flogged in the synagogues. On account of me you will stand before governors and kings as witnesses to them. 10And the gospel must first be preached to all nations. 11Whenever you are arrested and brought to trial, do not worry beforehand about what to say. Just say whatever is given you at the time, for it is not you speaking, but the Holy Spirit. 12“Brother will betray brother to death, and a father his child. Children will rebel against their parents and have them put to death. 13Everyone will hate you because of me, but the one who stands firm to the end will be saved. All that passing laws against sin did was produce more lawbreakers. But sin didn’t, and doesn’t, have a chance in competition with the aggressive forgiveness we call grace. When it’s sin versus grace, grace wins hands down. The world clearly is getting a more destroyed place. On our doorsteps is the threat of evil, and trouble. In our nation, in Europe, in the western world in general, it seems that darkness is covering the land. Wow!!! That means we’re being repositioned for an outpouring of grace the like of which has never been known before! And it means that, for those of us who want to be part of the Great Commission of Jesus – it is an ACTIVE choice we have to make, it’s not just going to be given to us – we are going to SEE GOD’S KINGDOM COME AND GOD’S WILL BE DONE ON EARTH AS IT IS IN HEAVEN! Many, many years ago, if I remember well, the lovely David Pawson said that he believes he’s going to see the return of Jesus in his lifetime. He’s a man who is perhaps one of Christendom’s greatest Bible teachers, a man whose knowledge of Biblical prophecy is amazing, it might be worth noting that David is 85 years old…. Another friend, Canon Andrew White, as probably most of you know, is the Vicar of St George’s Church, Baghdad. What is currently happening in Iraq is beyond belief. Biblical historic places are being destroyed – see Mark 13:2 – as IS want to eradicate Christians from the face of the earth. You might wonder why I’m writing all this!! There’s a reason. GRACE WINS, HANDS DOWN. It’s not a question, it’s a statement of truth. The Heavens are opening. Places previously known as ‘dark’ spiritually are beginning to see the glory of God demonstrated. I’m now back from a wonderful week in France. A glorious part of the world, the west coast region of the Vendee. Previously, spiritually dark, riddled with religious division, unbelief, churches hostile to each other. And last weekend, Heaven invaded earth…. Christians of many different persuasions – not just evangelicals with ‘religious’ differences (I was going to say theological differences, but to be honest, it’s one religious (little) empire remaining isolated from another). The Catholic community, the Beatitudes, has the most wonderful people, including a man I’ve come to love dearly, Frere Jean-Marie Delacroix. Jean-Marie has a ministry akin to prayer walking, except it isn’t walking! He goes in a boat up and down the Vendee coast, pray/sailing at the nation, from the sea. It’s called ‘Mere et Priere’ – which works wonderfully in French, but ‘Sea and Prayer’ in English doesn’t have the same ring! Jean-Marie has a wicked sense of humour!! Frere Timothy is another beautiful man of God…. I’d love to bring Jean-Marie to the UK, disguised in normal clothes as opposed to his habit, and get him to preach in some churches. You’d believe he is as charismatic and evangellymould as you are…. 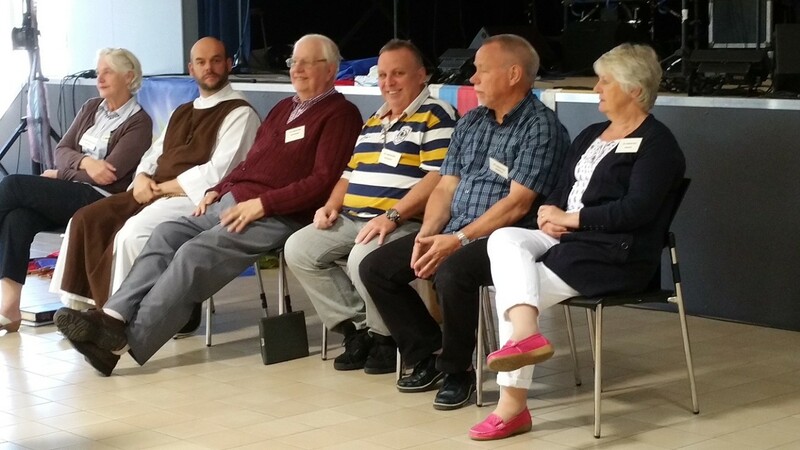 God is BRINGING THE PEOPLE WHO WANT TO USHER IN THE KINGDOM, TOGETHER….. Just in case you can’t tell, Jean-Marie is second from the left in the ‘cover’ picture!!! In 1984, I was a student at Roffey Place Christian Training Centre, in West Sussex. For a period of 6 weeks during my sojourn there, a minister came to stay for a six week sabbatical, in the room next door. I’d have to be honest and say I wondered what it’d be like having him there, as he was a Catholic monk. As a born and bred evangelical, I’d have most certainly had my differences, even as someone who’d never in a million years be called a ‘theologian’!! His name was Father Ian Petit. A Benedictine Monk. It was like having Jesus next door for 6 weeks. Such a wonderful, charismatic, ‘evangelical’ Catholic. Ian turned my ‘religious spirit’ upside down. We spent a lot of time together, and a number of times, after I’d moved on from Roffey, he came to stay in my home. He’s now well and truly in glory with Jesus, of that I have absolutely NO DOUBT. On the Vendee, in a staunch Catholic / ‘religious’ evangelical area of France (but more Catholic than evangelical! ), Heaven touched earth. Charismatic Catholics and charismatic Christians sharing the glory of God, touching lives of others, and hugging, worshipping the same God, the same Jesus, and dancing together. Healings, deliverance, salvation: GRACE outpoured in the gathering together of people from such diverse human and spiritual backgrounds. With a common goal: to see God’s Kingdom come in a glorious part of God’s world on the west coast coast of France. When I spoke there first time, in 2013, I was translated by an incredible guy, Jean Philippe Roullier: perhaps – with my mates Marius in Romania, and Fernando in Colombia – the best translator I’ve ever had. Jean Philippe is brilliant: in 2013, he translated so fast, as I spoke faster and faster, we had an absolute blast, and God turned up. He couldn’t be there last year, but WANTED to be at the conference last weekend to translate me again… it’s so easy to speak with him translating. He cancelled something else to be there. Why do I mention him so much? He’s one of the top Catholic translators in France, in demand in other countries, too, to translate and PREACH at huge conferences, and he’s such a great friend and brother to me… I’m hoping he’ll go to Colombia with me in the very near future. He wants to…. 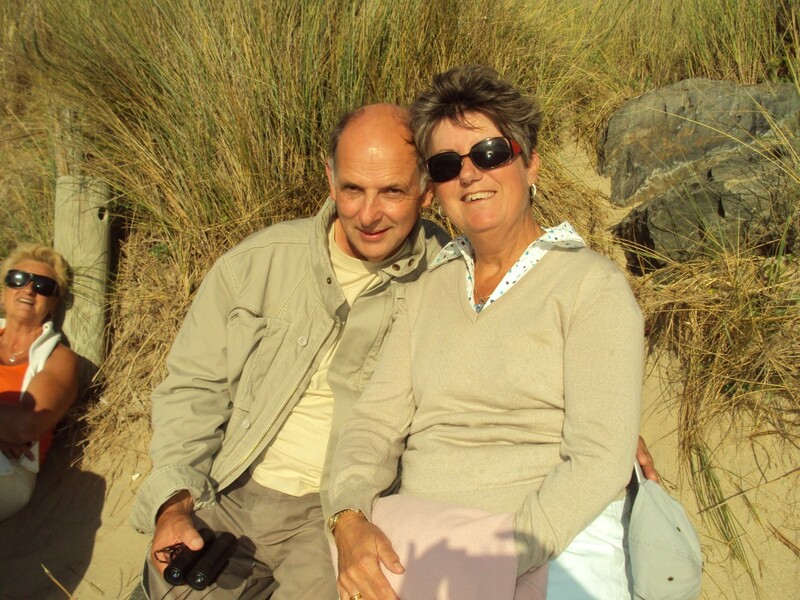 Dear Colin and Sue Enticknap, friends of over 30 years, missionaries there for 10 years, massively misunderstood by many (Mark 13: 9-13), cut adrift by many in England, but who have stood firm, determined to bring saints (as opposed to religious evangelicals) together, seeing, in their 8th ‘Louange Côte Ouest’ (West Coast Praise), heaven touch earth, and the heavens open. Thy have lived, battled, been misunderstood, alienated by some, in order to see heaven open. Like Simon Guillebaud in Burundi, Andrew White in Iraq…. For me, it’s been part of my dream for 36 years, to see heaven touch earth, to be part – a very, very small part – of seeing the heavens open over places I go to. If you read here frequently, you’ll know I talk of Cali, Colombia, as a city under an open heaven. Friends, it’s going to get worse in the world, darker and darker: and it’s going to get more and more exciting as we see GRACE WIN HANDS DOWN!! A three day conference seems to go by so fast, especially when the Holy Spirit is as evident as He was this past weekend. Yesterday was a day where the Holy Spirit just sealed all that had happened Friday and Saturday. 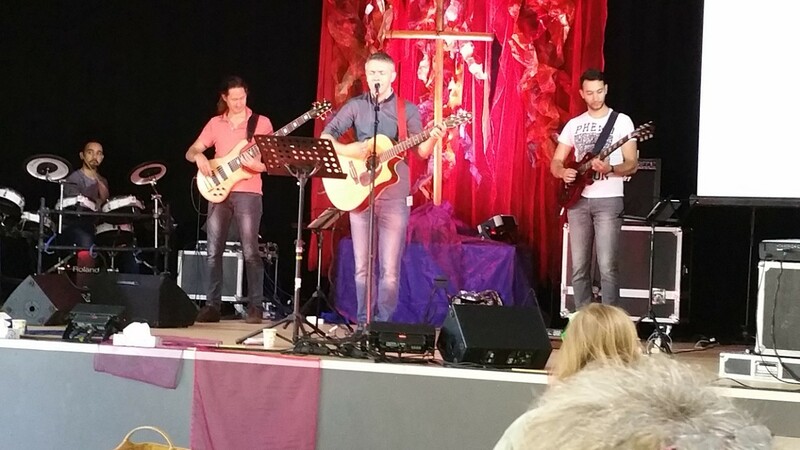 Yannick Billioux and the band – such a lovely bunch of guys from all over northern France, led a powerful time of real Spirit-led worship. Testimonies were shared by folk who’d been touched by God during the weekend, including Janine, the previously wheelchair-bound lady, who was walking very fast and perfectly well, having not walked for 5 years! the conference could end with an extended time of worship, which was beautiful. One of the joys of this conference is that it is not a ‘platform’ for anyone on the team to promote themselves: it’s just a group of people, wonderfully marshalled by Colin and Sue Enticknap, who are there to defer to each other, encourage each other, and it’s a bunch of people who’d prefer to be ‘under the radar’ and just doing what God wants. It’s also a time of catching up with friends, and just enjoying the awesomeness and the fun of being in God’s presence in such a beautiful place…. At risk of hammering the point home (!!) it’s worth planning a holiday around it next year – generally the same weekend each year, but check it out at www.louangecoteouest.fr. So a breather today after 3 16-18 hour days – knees beginning to return to normal! – and a chance for Colin and Sue to just chill out! They are such lovely, humble, kind people to work alongside – so thank you, Colin & Sue, for the pleasure and privilege of being at your conference again this year. 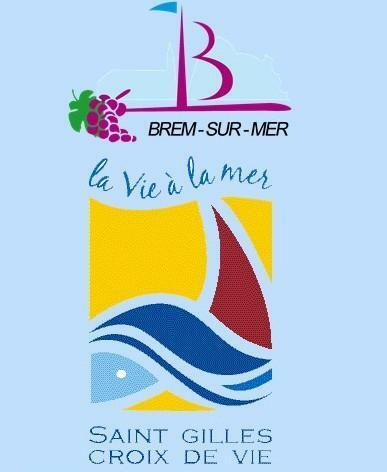 My love for France, and the Vendee, has grown even more, which I didn’t think was possible! The Vendee filled with the Presence of Jesus! This conference, Louange Côte Ouest, in the beautiful little town of Brem-sur-Mer, with its beautiful Atlantic beaches, has been wonderful. 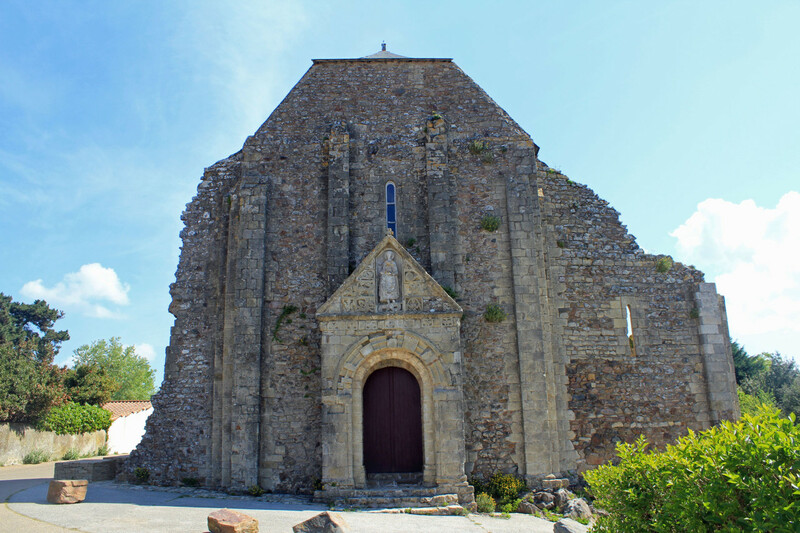 The Vendee has been a notoriously ‘dry’ area spiritually for a very long time: the hundred years war turned much of the Vendee into a battleground (1337-1453), and again in Napoleon’s time. Other events have meant that it’s an area where much blood has been spilt, and the over-riding ‘feel’ is of a territorial spirit of conflict. This has more than contaminated the churches, with a very pronounced Catholic-Protestant divide: and many of the Protestant churches seem to live in the pre-war world of the United Kingdom…. people having to leave churches because they listened to ‘evil’ music (no, not bands like Black Sabbath! – people like the lovely Chris Bowater!!). 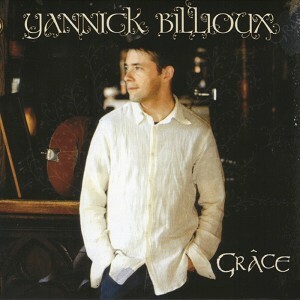 This time, as always, fantastic worship: in the past led by the lovely Bruno Laffitte and Hélène Goussebayle, this time by the lovely Yannick Billiou. He’s been fantastic, and his band have been so, so good, yet ‘unnoticeable’ as they are all humble guys, who are worshippers. Yesterday, a great friend, David Champion, who’s been here with Colin & Sue, every year for 10 years, with his lovely wife, Margaret and daughter Debbie, spoke really well. David is a medical walking miracle, has led some ‘well known’ churches, but is so beautifully humble. Dennis, much to his (initial!) consternation got to speak at the main celebration in the evening yesterday. Speaking on ‘An Open Heaven’, he was excellent. The best way to overcome your fear is to run at it, hit it head on, and it disappears…. Dennis did that yesterday. Tonight, yours truly got the main meeting, with outstanding, gifted, skilled, and fun translator, Jean Philippe Roullier doing the ‘French’ honours for me…..We had such a blast 2 years ago, and it was fantastic tonight…. So, what have we seen? The heavens open…. 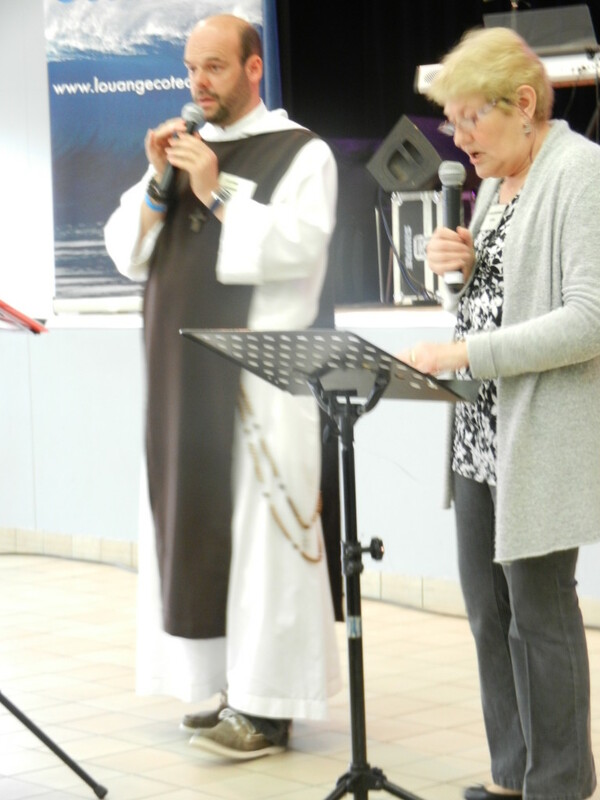 the Presence of God in the Vendee department…. the territorial spirits being pushed back by the opening of the heavens…. deaf ears opened…. a lovely lady, Janine, chronic arthritic (yes, knees too! – but mainly hips – 2 replacements right leg, and FIVE (all failed) left leg… wheelchair bound for any sort of short distance walking, two walking sticks other time – get out of her wheelchair, and walk – fast – around the group of people in the seminar. Today, she arrived sans-wheelchair (without – but that might be Spanish, sans!! ), with just one support in case of need, walking fast, well, and with pain drastically reduced…. many other lovely healing blessings for people, some being freed from hereditary stuff, some from deep hurts inflicted by church in the past – so sad that should be such a common area of ministry, not just here, but in many countries in the western world…. Both days have been about 16-17 hours long: lengthened slightly back here at Colin & Sue’s home (with Dennis and Cathy), for the obligatory baguette, and the glass of doctor-prescribed medicinal crushed grape juice… ;). I’ve got a feeling that tomorrow might just turn into the same length day or longer, but feeling utterly shattered when it’s because God has turned up, and wants to heal and set free his saints here in gorgeous France. We might not see eye to eye on everything, so let’s try looking at one eye at a time…. Goodness gracious….another blog from Paul! All was well, until three weeks ago, on day 2 in Romania, the new one died…. 🙁 In the middle of using it, it suddenly froze – not necessarily unusual in Romania, as even these days, power fluctuations occur. But it didn’t start to work again, so I tried to restart it. It wouldn’t. So I did a ‘hard’ shutdown, holding down the on/off button. It came back on but… nothing worked. The mouse moved about, but little else. I tried ‘safe’ mode, then system restore, then tried to take it back to a full windows re-install…. nothing. Panic phone calls to my genius friend Lee in England seemed to suggest a major hardware failure. But…I was in Romania for 2 more weeks, and PC World is in England. So…no computer. Straight off the plane to PC World: explained the problem. It seems that, on this machine, there’s a ‘HP’ restore/refresh/re-install option – AND a Windows one. The obvious one is the HP one. It needed the Windows one, and, voila! – it’s ok again….Lost everything I’d done on it, the programmes I’d installed, the data etc…. but, it’s ok. So my apologies for silence!! Romania was a good time, low-key as usual, but busy, effective, lots of one-to-one/small group times, equally demanding in many respects to the more overt higher-profile meetings in Colombia etc. and I arrived home pretty bushed. With just 60 hours at home before a 5.15 am ‘get-up’ to be at the airport to fly to France. 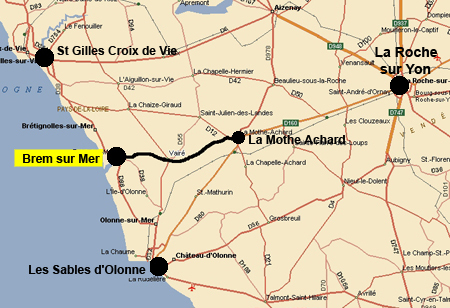 Which is where I am right now, preparing for a very busy few days with the ‘Louange Cote Ouest’ conference, always good, but tiring. I’d really value your prayers for the weekend, and for the ongoing financial battle I’m in – still (9 months now!). I’ll keep you more informed in the coming days as the laptop allows!